It’s 1935, and racial tensions are high in Maycomb, Alabama. Nonetheless, young Jean Louise Finch -- or Scout, as she is fondly called -- manages to live a rather carefree, privileged existence, insulated from issues of race. All that changes when Scout watches her father, Atticus Finch, defend an innocent man, Tom Robinson, against a potential death sentence, which looms threateningly against him because of prejudice due to race. Scout begins to realize that just because society portrays something as being true doesn’t mean that it actually is a fact. With the help of Atticus, and her older brother Jem, Scout learns that “growing up” often means doing what is right, even when it comes at great cost. 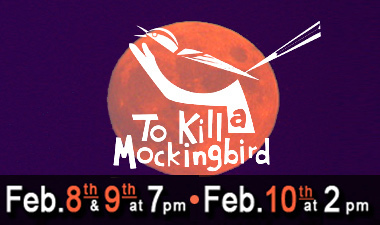 To Kill A Mockingbird is now considered an American masterpiece about the power of childhood innocence, morality, and love. However, it is important to note that the author, Harper Lee always defined it as a simple love story. 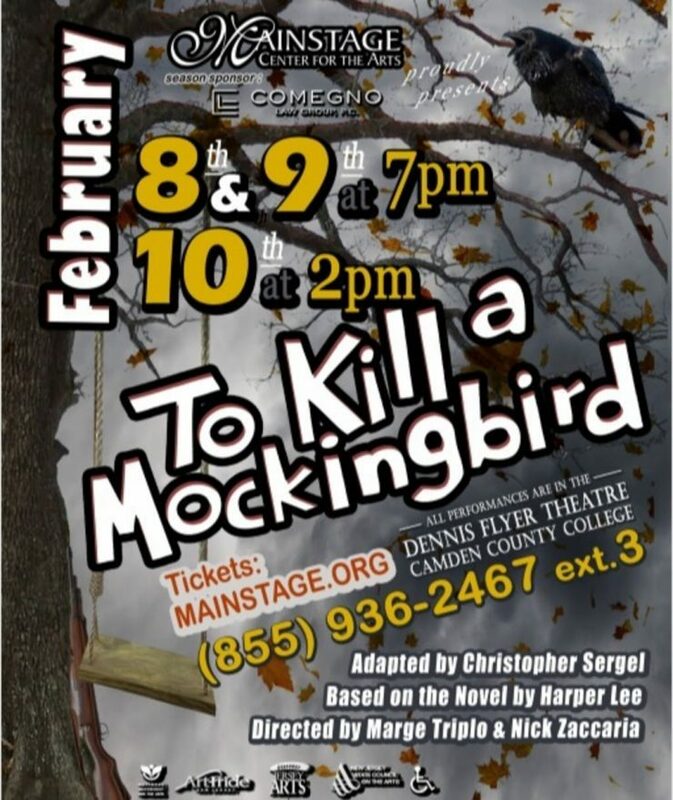 Mainstage Center for the Arts is proud to present To Kill a Mockingbird, based on the novel by Harper Lee and adapted by Christopher Sergel. To Kill a Mockingbird by Harper Lee was published in 1960 and is loosely based on experiences Lee witnessed as a child near her hometown of Monroeville. The book was immediately successful and won the Pulitzer Prize for fiction in 1961. The novel is considered an American classic and is still widely taught in schools across the country. Sergel began working on an adaption of the novel in 1970 and got permission to copyright his work. The play debuted in 1991 at Paper Mill Playhouse in Millburn, N.J. Though Sergel intended to write the play for middle schools and high schools, it became a favorite for regional theaters across the nation. For Monroeville, which labels itself “The Literary Capital of Alabama,” performing the play became tradition. The town performs the play every May, but not in a typical fashion. The townspeople make up the cast and it is performed at the county courthouse grounds. At intermission, white men are chosen from the audience to make up the jury and the audience is racially segregated when the play moves inside the courthouse in the second act. Though Mainstage’s production will take a more traditional theatrical approach with a stage and actors, the show will still illustrate the important themes from Lee’s novel, including racial injustice, class, courage, compassion, gender roles, what is lawful, and loss of innocence.